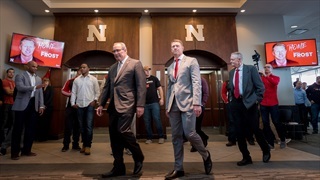 On Thursday, May 30, athletic director Bill Moos, football head coach Scott Frost and basketball head coach Fred Hoiberg will tour the state and visit areas directly impacted by last month’s devastating flooding. Fred Hoiberg's Iowa State tenure speaks for itself, but his NBA years are more of a mystery. Derek Peterson spoke with some NBA insiders to get a better sense of what happened in Chicago. 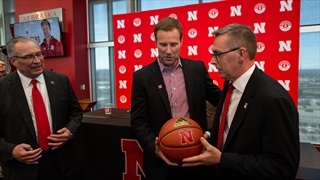 New Nebraska basketball coach head coach Fred Hoiberg's contract includes stay bonuses, incentives for making the NCAA Tournament and big buyouts if he were take another college job. 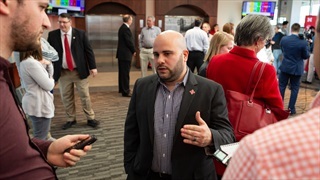 Jacob Padilla joins the podcast to run down everything we saw and heard from Fred Hoiberg's introductory press conference, as well as discuss what's in store for Husker hoops with a new coach in town. Mailbag: Easier to Change a Culture in Basketball or Football? 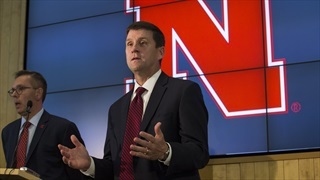 The Hail Varsity staff tackles your Nebraska questions in the latest edition of the Mailbag. 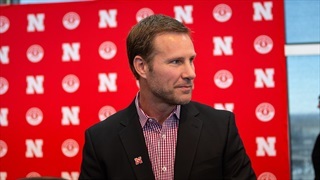 Fred Hoiberg will have afamiliar face with him as he tries to build this Nebraska program. 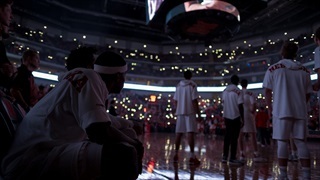 Fred Hoiberg was on an American flight back to Chicago from the NCAA Tournament last week with his wife, Carol, looking for a sign of what to do. That's when he saw it. 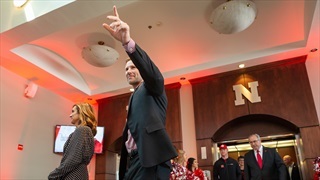 On Tuesday afternoon, in front of a packed room on the third floor of Memorial Stadium, Nebraska introduced its 28th men’s basketball head coach, former Iowa State and Chicago Bulls head man Fred Hoiberg. 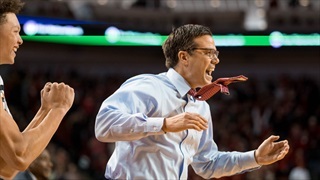 With the hire of Fred Hoiberg, Nebraska is joining the $8 Million Club, the group of heavy-hitting schools that spend at least that much on their football and basketball coaches. It’s officially official. 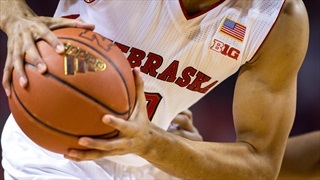 Fred Hoiberg has been named the new head coach of the Nebraska men’s basketball program. 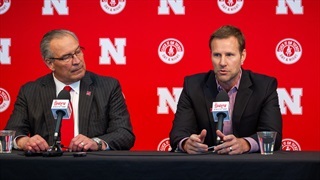 Nebraska has reached an agreement with Fred Hoiberg for him to become the next Husker head coach. 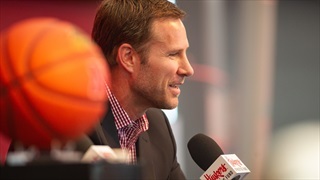 Hoiberg is expected to be introduced on Tuesday. Until then, here’s a look at his coaching career by the numbers. 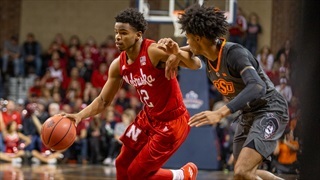 Mailbag: What Does Bounds Departure Mean for Nebraska Athletics? 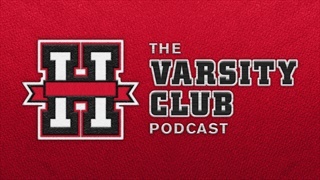 The Hail Varsity staff is back for another mailbag, answering questions ranging from Hank Bounds’ departure and its implications to roster management. 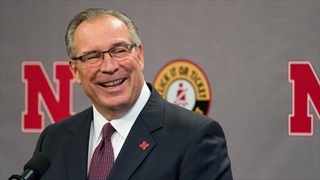 “People say, ‘Why Nebraska," Nebraska AD Bill Moos said. "I say, ‘Why not?'" It's a good question. Let's look at what it takes to go from decent to very good in big-time basketball. 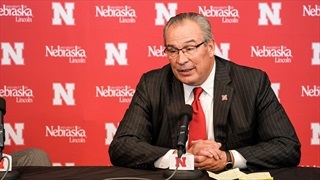 Nebraska Athletic Director Bill Moos has had preliminary talks with "three or four" of candidates for the Huskers head basketball opening, but wasn't ready to tip his hand on Tuesday. 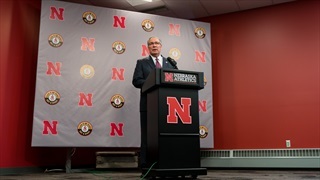 Nebraska Athletic Director Bill Moos meet with the media on Tuesday following the firing of basketball coach Tim Miles. Watch his full press conference here. 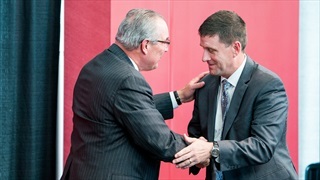 On Monday, University of Nebraska President Hank Bounds announced he will be stepping down from his post, a position he has held for the last four years. Another week, another mailbag. 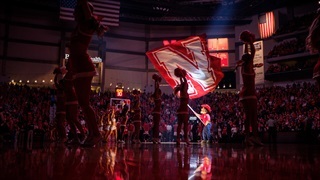 The Hail Varsity staff is back to answer your Husker questions ranging from Nebrasketball rumors to Big 12 nostalgia. 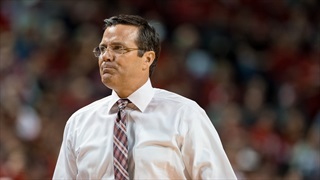 Nebraska Athletic Director Bill Moos released a statement Friday afternoon regarding the future of basketball coach Tim Miles’ job.